More than 30 middle school students posted medal-winning scores in this year’s National Myth Exam, which took place during the spring semester. The annual exam, taken by all middle school Latin students, includes questions on Greek and Roman myths. Silver medals, awarded to students who scored between 95 and 99 percent, were awarded to rising seventh graders Hita Thota, Jeremy Ko, Alan Jiang, Jasmine Li, Andrew Fu and Andrew Pluzhnikov; rising eighth graders Nicole Tian, Anoushka Khatri, Arnav Jain, Brandon Park, Jacqueline Hu, Angela Jia, Aaron Lo and Alex Zhang; and rising ninth graders Betsy Tian, Angela Cai and Akshay Manglik. Bronze medal winners, who scored between 90 and 94 percent, were rising seventh graders Atri Banerjee, Anthony Tong, Linette Hoffman, Nicholas Wei and Isaac Yang; rising eighth graders Ishaan Parate, Aaron Tran, Prakrit Jain, Thresia Vazhaeparambil, Ysabel Chen and Akhilesh Chegu; and rising ninth graders Sidra Xu, Jason Lin, Anna Vazhaeparambil, Shalini Rohra and Maria Vazhaeparambil. 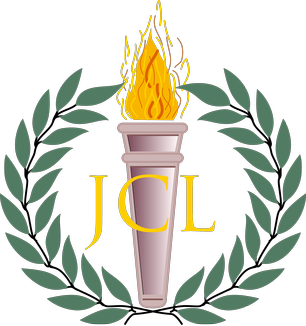 These students were presented with their medals and certificates in May at the California Junior Classical League’s state convention.